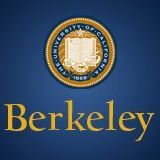 The University of California, Berkeley (also referred to as UC Berkeley, Berkeley, California, or simply Cal), is a public research university located in Berkeley, California, United States. The university occupies 1,232 acres (499 ha) on the eastern side of the San Francisco Bay with the central campus resting on 178 acres (72 ha). Effective Business Writing via edX 3-5 hours a week , 4 weeks long 3-5 hours a week , 4 weeks long 13th May, 2019 No reviews yet. The Writing Process via edX 3-5 hours a week , 4 weeks long 3-5 hours a week , 4 weeks long Self paced No reviews yet. Bitcoin and Cryptocurrencies via edX 3-5 hours a week , 6 weeks long 3-5 hours a week , 6 weeks long Self paced No reviews yet. Foundations of Data Science: Inferential Thinking by Resampling via edX 4-6 hours a week , 6 weeks long 4-6 hours a week , 6 weeks long Self paced No reviews yet. Foundations of Data Science: Prediction and Machine Learning via edX Self paced No reviews yet. Blockchain Technology via edX 3-5 hours a week , 6 weeks long 3-5 hours a week , 6 weeks long Self paced No reviews yet. Writing for Social Media via edX 3-5 hours a week , 4 weeks long 3-5 hours a week , 4 weeks long 17th Jun, 2019 No reviews yet. 15th Jul, 2019 No reviews yet. Writing for Social Justice via edX 4-5 hours a week , 4 weeks long 4-5 hours a week , 4 weeks long 18th Sep, 2019 No reviews yet. 6th May, 2014 No reviews yet. 9th Sep, 2015 No reviews yet. LUCS.1x: Preparing for the AP* Computer Science A Exam — Level Up! Part 1 via edX 7 weeks long 7 weeks long 15th Oct, 2015 No reviews yet. 29th Oct, 2015 No reviews yet. LUCS.2x: Preparing for the AP* Computer Science A Exam — Level Up! Part 2 via edX 7 weeks long 7 weeks long 7th Dec, 2015 No reviews yet. 4th Jan, 2016 No reviews yet. LUCS.3x: Preparing for the AP* Computer Science A Exam — Level Up! Part 3 via edX 6 weeks long 6 weeks long 27th Jan, 2016 No reviews yet.